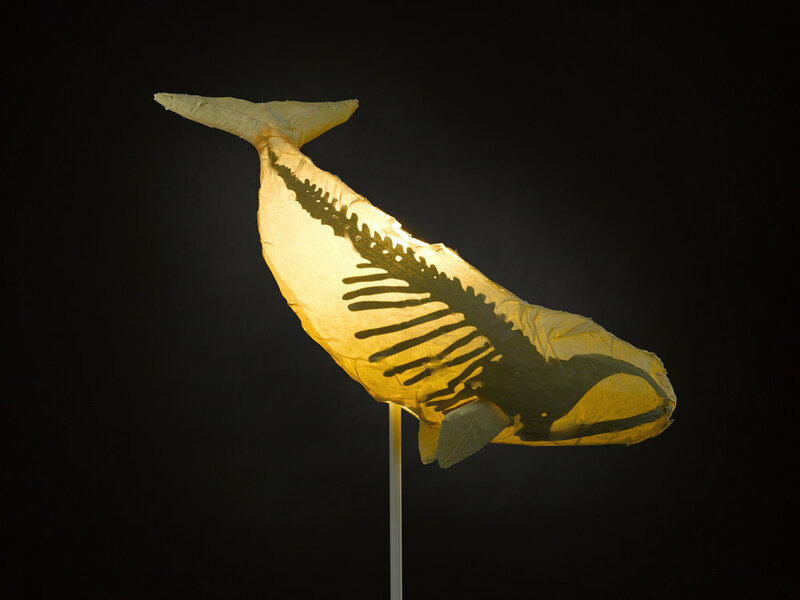 These ghost whale lanterns, with the skeleton revealed by light, emphasize contemplation of our complicated relationships with the other beings with whom we share the world. In additional to providing individual whales, I love to create large public installations, especially in partnership with conservation organizations to address environmental issues. To order individual whales, check out my Etsy shop. 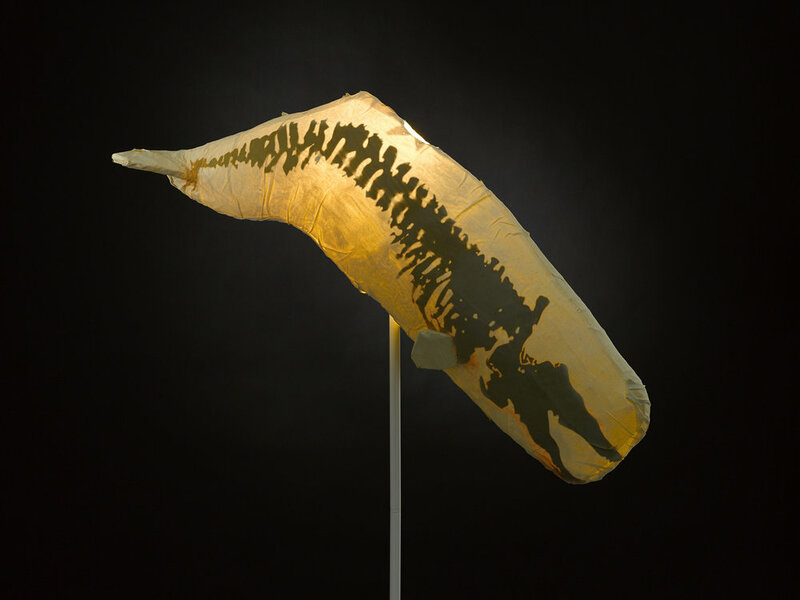 Whales are available in three sizes, and as either hanging lanterns, desklamps, or floorlamps. For installations of multiple whales or custom orders, send me a message! I’d love to discuss possibilities. Species currently available are Blue Whales, Right Whales, Orca, Humpback, and Sperm Whales - here are photos of them!